This year, my younger sister will be turning fifteen and it got me thinking about what I was like at her age. That lead to me thinking about what I'd tell fifteen year old me and subsequently sitting here writing today's post. 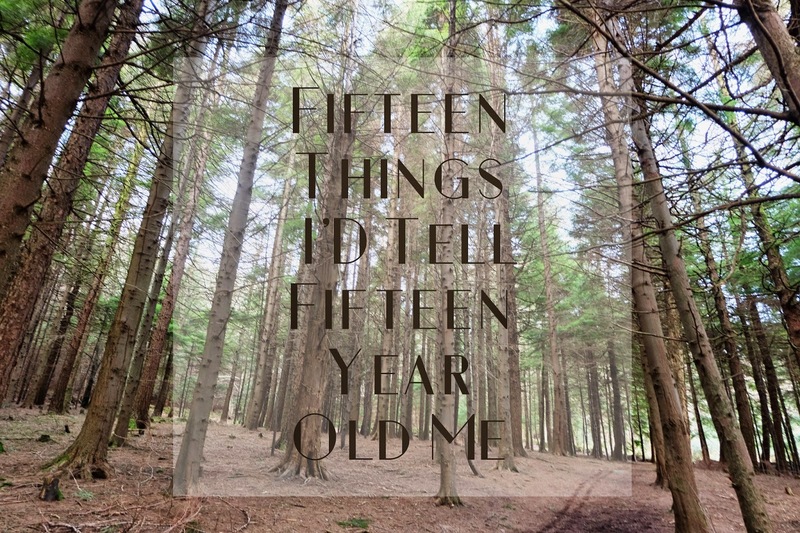 Of course, I'd never want to go back and change anything as it has all brought me to where I am today but there are a few things I wish I'd known sooner and below are the 'Fifteen Things I'd Tell Fifteen Year Old Me'. ↠ Don't follow the crowd, be yourself and be proud of it. ↠ People are mean, that's just a fact of life, try not to take it too personally. ↠ School is more important than you think, take it seriously. ↠ Don't rush to grow up, enjoy being young, nineteen rolls around faster than you know. ↠ Friends come and go, but your family will always be there for you, keep them close. ↠ Boys will also come and go, you're far too young for 'true love'. ↠ You will regret every single cringey Facebook status five years later, trust me. ↠ That bob haircut will do you no favours and will take forever to grow out. doing you a favour in the long run. ↠ Staying up till 3am every night doesn't make you 'cool', go to bed. ↠ Enjoy the little things, they're what you'll treasure most in five years time. ↠ Don't be so angry about everything, take a deep breath and chill out. ↠ Not everyone will like you, and you won't like everyone either, that's fine. say no don't feel embarrassed, you'll thank yourself in years to come.